Home Ads Do you know the one thing that will totally transform Paid Search in 2015? It’s been a while and Click Convert has been going through a few changes. We have finally moved and began to settle in to our new bigger offices, as our offices expand so does our business and in line with this so too does our experience and expertise. Change as we all know waits for no one. I thought it about time I touched base with you all and let you into what we have been working on. We have been working the one thing that will totally transform Paid Search in 2015. It’s a change that may wipe out your business if you don’t get on board now. The fastest way to improve any business is to have a proven, repeatable system that turns your audiences into responsive customers. Simple huh? For Years many of you have generated sales through AdWords. It’s been the most reliable repeatable way to guarantee sales for many years now. Sure SEO is important but it isn’t guaranteed – AdWords has been the rock in the life of millions of businesses. I hate this bit, but the world is changing faster than ever and for internet marketers the biggest change that has romped over the horizon is paid Social media advertising. Facebook and Twitter are the giants. Again many of you have built a fantastic following on Facebook that has created great businesses with low marketing costs. But you’re all being hit hard – one client had never used paid search or promoted posts and found overnight her Facebook posts suddenly were only being shown to 1% of her audience. Overnight her business had stopped. The reason is simple – Facebook claim there are too many competing posts for its audience and they cannot show them all. So now only 1% to 5% of your audience will receive your posts dependant on your engagement with them. Thankfully the kind guys at Facebook have a solution you can pay to have your posts boosted. 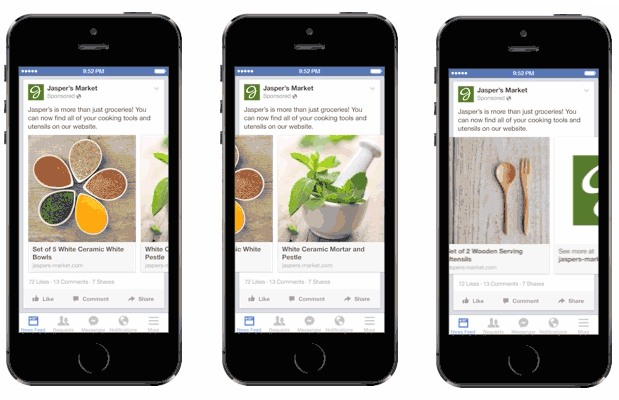 Make no mistake about this – Facebook is now a paid advertising platform. However, unlike Bing which is great but struggles with volume, Facebook has a massive audience. Facebook users check their feeds 14 times per day on average. Google is beginning to lose some market share to Facebook and its happening rapidly. Facebook is going to become a massive force in the online marketing arena and will be a great source of sales for you. 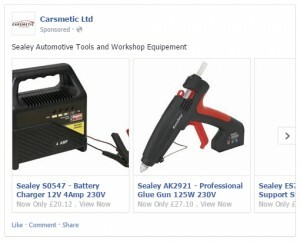 I believe Facebook is becoming a giant source of sales for you because they have just released their own version of Google Shopping and we all know how important Google Shopping is -well Facebook are transforming the world of online marketing right now with their product listings and their promoted posts. Facebook shopping is now becoming a reliable repeatable system for generating sales. It will steal some marketing spend from Google and present Google will it’s first real challenger – That’s why Google were so eager to get Google+ up and running to try and stop Facebook. Google knew what was coming and they didn’t own it. Normally I would not explain this in an email as I would be giving away marketing advice for free. However, I have an ace in the hold – Facebook only recruits university graduates who have no real world experience (it Facebook’s belief that these guys and girls will change the world (their not wrong), however, this makes Facebook for advertisers incredibly hard to learn and use. I spent 6 solid weeks trying to figure out their new extremely complex shopping system. It was hell in a nutshell but I guarantee – any agency you know does NOT know how to do this – believe me, it’s too hard and time consuming to figure out. Many people are saying they can do it but why are they using images that are the examples that Facebook give so you can get an impression of how it may look (if they get it working). We here at Click Convert can prove we have it working see the pictures below. Fig 1. The generic agency example copied from Facebook. Fig 2. Click Convert’ client running Facebook shopping ads. Agencies you can never afford have actually worked out how to set up and run these new ads. Well I have -I could have screamed in the office car park every damn day with my frustrations at Facebook and I consider myself top of the tree in Paid Search. There is an opportunity here to track visitors to your site and track see their Facebook profiles without them even viewing your facebook page. 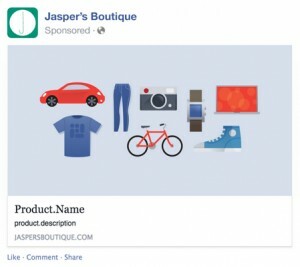 We can send to Facebook the products they view on your site and place those products in front of them on Facebook. This, when segmented well can lead to greater sales, but the really smart bit comes next. Facebook unlike Google profile customers at a far greater level of detail as they know what you like, who your friends are, your political leanings your views on life etc. This is used to profile those who buy from you and we can then place you in front of customers as they begin to consider purchases. This truly is the age of big data and facebook is put right in front of you. The only problem is they do not make it easy at all for you to get the system to work. This is where you along with the team at Click Convert can get you a market advantage. The bandwagon has just appeared at your stop – you can get on and ride it around town before anyone else notices – when they do then they’ll be fighting like mad – costs will raise and the effectiveness will fall away. We have created a complex yet effective and easy to apply formula that you can start using right now to turn facebook into a sales machine. Here and now the opportunity is yours. Why not take advantage and jump on that customer band wagon now? eventually come back in the future. I want to encourage you to definitely continue your great writing, have a nice evening!